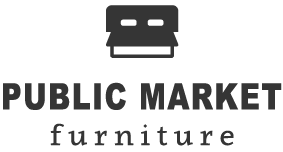 The Public Market is an eclectic furniture store that sells mattresses, new and used furniture, appliances, and home decor at affordable prices. The Public Market is known for being the most eclectic furniture store in Willmar, MN selling used and new furniture. Browse used items to begin your furniture treasure hunt and discover your next statement piece. Visit the store to shop top brands of bedroom sets, dining room tables, couches, coffee tables, and mattresses. Delivery services available. LOOKING TO SELL USED FURNITURE OR APPLIANCES? Call or stop by the store to see if the Public Market is the right place to sell your piece.